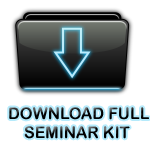 Engineering Seminar Topics :: Seminar Paper: Seminar report on " DIAMOND CHIP "
Seminar report on " DIAMOND CHIP "
Electronics without silicon is unbelievable, but it will come true with the evolution of Diamond or Carbon chip. Now a day we are using silicon for the manufacturing of Electronic Chip's. It has many disadvantages when it is used in power electronic applications, such as bulk in size, slow operating speed etc. Carbon, Silicon and Germanium are belonging to the same group in the periodic table. They have four valance electrons in their outer shell. Pure Silicon and Germanium are semiconductors in normal temperature. So in the earlier days they are used widely for the manufacturing of electronic components. But later it is found that Germanium has many disadvantages compared to silicon, such as large reverse current, less stability towards temperature etc so in the industry focused in developing electronic components using silicon wafers. Now research people found that Carbon is more advantages than Silicon. By using carbon as the manufacturing material, we can achieve smaller, faster and stronger chips. They are succeeded in making smaller prototypes of Carbon chip. They invented a major component using carbon that is CARBON NANOTUBE, which is widely used in most modern microprocessors and it will be a major component in the coming era. In single definition, Diamond Chip or carbon Chip is an electronic chip manufactured on a Diamond structural Carbon wafer. OR it can be also defined as the electronic component manufactured using carbon as the wafer. The major component using carbon is (CNT) Carbon Nanotube. Carbon Nanotube is a nano dimensional made by using carbon. It has many unique properties. Pure Diamond structural carbon is non-conducting in nature. In order to make it conducting we have to perform doping process. We are using Boron as the p-type doping Agent and the Nitrogen as the n-type doping agent. The doping process is similar to that in the case of Silicon chip manufacturing. But this process will take more time compared with that of silicon because it is very difficult to diffuse through strongly bonded diamond structure. CNT (Carbon Nanotube) is already a semi conductor. A crystalline diamond film that could produce more resilient semiconductor chips than those made from silicon, commonly synthetic diamonds have proved a poor semi conducting material. Their microscopic crystals are a disorderly hodgepodge, and their edges are not evenly aligned, impeding the flow of current. Now but by growing the diamond film on a surface of iridium, instead of on silicon, they can keep its grain boundaries aligned. Adding atoms of boron or nitrogen enables the diamond film to conduct electricity. Manufacturers plan to build a diamond chip that can withstand temperatures of 500 C, compared to only about 150 C for silicon chips. The chips would be most useful in devices located near hot-burning engines, such as those used in automobiles or airplanes. Diamond has an extremely high thermal conductivity, can withstand high electric fields, and can be made into a semiconductor -- ideal for power devices. A diamond semiconductor that operates on the 81 GHz frequency, which is more than twice the speed of earlier devices, has been developed by the Nippon Telegraph and Telephone Corp. (NTT).According to NTT, this latest development will allow amplification in the millimeter-wave band from 30 to 300 GHz possible for the first time. However, diamond chips are not expected to completely replace silicon chips for another 20 years because of two major bottlenecks. Artificial diamond for chips is still much more expensive than silicon. A four-millimeter-square diamond substrate costs several tens of thousands of yen compared to virtually nothing for silicon, another problem is that electricity cannot travel smoothly through diamond. Thus, researches are seeking impurities that can be added to aid electricity flow. Carbon nanotubes (CNTs):- are allotropes of carbon with a cylindrical nanostructure. Nanotubes have been constructed with length-to-diameter ratio of up to 28,000,000:1, which is significantly larger than any other material. These cylindrical carbon molecules have novel properties that make them potentially useful in many applications in nanotechnology, electronics, optics and other fields of materials science, as well as potential uses in architectural fields. They exhibit extraordinary strength and unique electrical properties, and are efficient thermal conductors. Their final usage, however, may be limited by their potential toxicity and controlling their property changes in response to chemical treatment. Nanotubes are members of the fullerene structural family, which also includes the spherical buckyballs. The ends of a nanotube might be capped with a hemisphere of the buckyball structure. Their name is derived from their size, since the diameter of a nanotube is on the order of a few nanometers (approximately 1/50,000th of the width of a human hair), while they can be up to several millimeters in length (as of 2008). Nanotubes are categorized assingle-walled nanotubes (SWNTs) and multi-walled nanotubes (MWNTs). The nature of the bonding of a nanotube is described by applied quantum chemistry, specifically, orbital hybridization. The chemical bonding of nanotubes is composed entirely of sp2 bonds, similar to those of graphite. This bonding structure, which is stronger than the sp3 bonds found in diamonds, provides the molecules with their unique strength. Nanotubes naturally align themselves into "ropes" held together by Van der Waals forces. Most single-walled nanotubes (SWNT) have a diameter of close to 1 nanometer, with a tube length that can be many millions of times longer. The structure of a SWNT can be conceptualized by wrapping a one-atom-thick layer of graphite called graphene into a seamless cylinder. The way the graphene sheet is wrapped is represented by a pair of indices (n,m) called the chiral vector. The integers n and m denote the number of unit vectors along two directions in the honeycomb crystal lattice of graphene. If m = 0, the nanotubes are called "zigzag". If n = m, the nanotubes are called "armchair". Otherwise, they are called "chiral". Single-walled nanotubes are an important variety of carbon nanotube because they exhibit electric properties that are not shared by the multi-walled carbon nanotube (MWNT) variants. Single-walled nanotubes are the most likely candidate for miniaturizing electronics beyond the micro electromechanical scale currently used in electronics. The most basic building block of these systems is the electric wire, and SWNTs can be excellent conductors. One useful application of SWNTs is in the development of the first intramolecular field effect transistors (FET). Production of the first intramolecular logic gate using SWNT FETs has recently become possible as well. To create a logic gate you must have both a p-FET and an n-FET. Because SWNTs are p-FETs when exposed to oxygen and n-FETs otherwise, it is possible to protect half of an SWNT from oxygen exposure, while exposing the other half to oxygen. This results in a single SWNT that acts as a NOT logic gate with both p and n-type FETs within the same molecule. Single-walled nanotubes are still very expensive to produce, around $1500 per gram as of 2000, and the development of more affordable synthesis techniques is vital to the future of carbon nanotechnology. If cheaper means of synthesis cannot be discovered, it would make it financially impossible to apply this technology to commercial-scale applications. Several suppliers offer as-produced arc discharge SWNTs for ~$50–100 per gram as of 2007. Multi-walled nanotubes (MWNT) consist of multiple rolled layers (concentric tubes) of graphite. There are two models which can be used to describe the structures of multi-walled nanotubes. In the Russian Doll model, sheets of graphite are arranged in concentric cylinders, e.g. a (0,8) single-walled nanotube (SWNT) within a larger (0,10) single-walled nanotube. In the Parchment model, a single sheet of graphite is rolled in around itself, resembling a scroll of parchment or a rolled newspaper. The interlayer distance in multi-walled nanotubes is close to the distance between graphene layers in graphite, approximately 3.4 Å. The special place of double-walled carbon nanotubes (DWNT) must be emphasized here because their morphology and properties are similar to SWNT but their resistance to chemicals is significantly improved. This is especially important when functionalization is required (this means grafting of chemical functions at the surface of the nanotubes) to add new properties to the CNT. In the case of SWNT, covalent functionalization will break some C=C double bonds, leaving "holes" in the structure on the nanotube and thus modifying both its mechanical and electrical properties. In the case of DWNT, only the outer wall is modified. DWNT synthesis on the gram-scale was first proposed in 2003 by the CCVD technique, from the selective reduction of oxide solutions in methane and hydrogen. A nanotorus is theoretically described as carbon nanotube bent into a torus (doughnut shape). Nanotori are predicted to have many unique properties, such as magnetic moments 1000 times larger than previously expected for certain specific radii. Properties such as magnetic moment, thermal stability etc. vary widely depending on radius of the torus and radius of the tube. Carbon nanobuds are a newly created material combining two previously discovered allotropes of carbon: carbon nanotubes and fullerenes. In this new material, fullerene-like "buds" are covalently bonded to the outer sidewalls of the underlying carbon nanotube. This hybrid material has useful properties of both fullerenes and carbon nanotubes. In particular, they have been found to be exceptionally good field emitters. In composite materials, the attached fullerene molecules may function as molecular anchors preventing slipping of the nanotubes, thus improving the composite’s mechanical properties. Carbon nanotubes are the strongest and stiffest materials yet discovered in terms of tensile strength and elastic modulus respectively. This strength results from the covalent sp² bonds formed between the individual carbon atoms. In 2000, a multi-walled carbon nanotube was tested to have a tensile strength of 63 gigapascals (GPa). (This, for illustration, translates into the ability to endure tension of a weight equivalent to 6300 kg on a cable with cross-section of 1 mm2.) Since carbon nanotubes have a low density for a solid of 1.3 to 1.4 g·cm−3, its specific strength of up to 48,000 kN·m·kg−1 is the best of known materials, compared to high-carbon steel's 154 kN·m·kg−1. Under excessive tensile strain, the tubes will undergo plastic deformation, which means the deformation is permanent. This deformation begins at strains of approximately 5% and can increase the maximum strain the tubes undergo before fracture by releasing strain energy. CNTs are not nearly as strong under compression. Because of their hollow structure and high aspect ratio, they tend to undergo buckling when placed under compressive, torsional or bending stress. Diamond is considered to be the hardest material, and it is well known that graphite transforms into diamond under conditions of high temperature and high pressure. One study succeeded in the synthesis of a super-hard material by compressing SWNTs to above 24 GPa at room temperature. The hardness of this material was measured with a nanoindenter as 62–152 GPa. The hardness of reference diamond and boron nitride samples was 150 and 62 GPa, respectively. The bulk modulus of compressed SWNTs was 462–546 GPa, surpassing the value of 420 GPa for diamond. Multi-walled nanotubes, multiple concentric nanotubes precisely nested within one another, exhibit a striking telescoping property whereby an inner nanotube core may slide, almost without friction, within its outer nanotube shell thus creating an atomically perfect linear or rotational bearing. This is one of the first true examples of molecular nanotechnology, the precise positioning of atoms to create useful machines. Already this property has been utilized to create the world's smallest rotational motor. Future applications such as a gigahertz mechanical oscillator are also envisaged. Because of the symmetry and unique electronic structure of graphene, the structure of a nanotube strongly affects its electrical properties. For a given (n,m) nanotube, if n = m, the nanotube is metallic; if n − m is a multiple of 3, then the nanotube is semiconducting with a very small band gap, otherwise the nanotube is a moderate semiconductor. Thus all armchair (n = m) nanotubes are metallic, and nanotubes (5,0), (6,4), (9,1), etc. are semiconducting. In theory, metallic nanotubes can carry an electrical current density of 4 × 109 A/cm2 which is more than 1,000 times greater than metals such as copper. Carbon--the basis of all organic compounds--appears destined to supplant silicon as the material of choice for future semiconductors. According to researchers, various structures based on the element that sits just above silicon on the Periodic Table can surpass silicon's abilities in thermal performance, frequency range and perhaps even superconductivity. "Of the carbon technologies, diamond is probably the closest [to commercialization§] at this time, as work in diamond has been taking place for 15 years or longer," said Dean Freeman, senior analyst at Gartner Inc. "Most of the others still have a ways to go." Three-dimensional carbon--diamond--offers 10 times the heat dissipation of silicon, according to suppliers currently hawking 40-nanometer to 15-micron diamond films on silicon wafers. Two-dimensional carbon--3-angstrom-thick monolayers called graphene--could dismantle silicon's roadblock to terahertz performance by attaining 10 times the electron mobility of silicon. Likewise, one-dimensional carbon--1-nm-diameter nanotubes--could solve digital silicon's speed woes. Nanotubes will appear first as printable "inks" that are 10 times faster than competing organic transistors. Meanwhile, zero-dimensional carbon--60-atom, hollow spheres of carbon called fullerenes--could answer silicon's inability to attain high-temperature superconductivity. Tightly packed fullerenes intercalated with alkali-metal atoms super conduct at 38 K.
Over the next few years, carbon process technologies will become available to replace nearly every circuit material in use today: conductors, for interconnecing devices; semiconductors; and insulators, for isolating devices. But how quickly the industry embraces the carbon-based materials, especially during uncertain economic times, remains to be seen. Freeman related the experience of Nantero Inc. (Woburn, Mass.) and SVTC Technologies (Austin, Texas), which partnered to offer the first nanotube thin-film development foundry service for fabless silicon chip makers wishing to add carbon nanotube films as high-performance interconnects on commercial CMOS chips. "Nantero has developed several devices using carbon nanotubes, but it can't find any customers who want to commercialize the devices," he said. "Carbon nanotubes are also being looked at closely for interconnect materials in CMOS devices below 22 nm, which would mean at least five years before commercialization," Freeman said. Carbon nanotube films are being developed by mass- production experts such as DuPont and have appeared on electronics cast on flexible plastic substrates by industrial giants such as NEC. Companies like Nanocomp Technologies Inc. (Concord, N.H.) are embedding nanotubes into carbon sheets that can sense cracks or other structural defects, as well as developing nanotube wires and cables that are comparable to copper in terms of electrical conductivity but are 80 percent lighter. "There are already many applications being developed in flexible electronics, for both the military and civilian uses," said IBM fellow Phaedon Avouris, who manages the company's carbon transistor efforts, initially for nanotubes and more recently for graphene. "Of course, there are already many applications of nanotubes' being used to make materials more conductive, either electrically or thermally, but building thin-film transistors with micron-sized channels on flexible substrates will be the first commercial applications of nanotubes." Carbon electronics developers are not aiming to go head-to-head with silicon semiconductors' mature process technology for perhaps a decade; instead, they are looking to create a whole new lineage of electronic capabilities, beginning with micron-sized devices reminiscent of the larger, early silicon transistors. Printable nanotube inks are being developed by suppliers such as Applied Nanotech Inc. (Austin, Texas) for inexpensive low-temperature deposition systems using noncontact aerosol jet printers, such as those offered by Optomec (Albuquerque, N.M.). The systems target cost-sensitive applications such as plastic solar cells and RFID tags on flexible polymer substrates. Wafers with polycrystalline films of diamond are on the market and are being investigated for use with high-performance materials like gallium nitride; today such materials often cannot perform at their peak, because even silicon carbide substrates cannot dissipate the heat fast enough. Wafers with polycrystalline films of diamond are also being proposed as higher-performance replacements for silicon-on-insulator wafers. Pure diamond transistors are still experimental, but NTT and others have demonstrated high-power, high-frequency versions for communications. Diamond transistors have also being proposed for next-generation collision-avoidance automotive radar systems that would operate well in adverse weather/temperature conditions, as well as for applications that are projected further into the future, such as qubit storage in quantum computers. "Diamond today is used for high-temperature, high-frequency, high-cost, niche applications where someone, such as the military, can afford the extra cost of diamond substrates," said Freeman. The two hurdles to the commercialization of single-crystal diamond semiconductors are doping and scaling. Very few dopants have been found than can introduce the lattice defects needed to change the material from an insulator to a semiconductor. "Silicon has whole families of dopants, like boron and phosphorus, that can be implanted into silicon to achieve certain semiconducting properties, then annealed to heal the damage to the lattice. Silicon naturally recrystallizes around the dopant atoms, whereas diamond doesn't. If you try to implant dopants and anneal diamond, the doped regions will just turn into graphite [amorphous carbon]," said John Carlisle, chief technology officer at Advanced Diamond Technologies Inc. (ADT; Romeoville, Ill.). The scaling problem refers to the inability to grow single-crystal diamond across wafers much bigger than an inch and a half. Diamond is no match for silicon, which can be grown at the wafer scale in atomically perfect single-crystalline monolayers as wide as 8 inches or more. "Tremendous engineering challenges remain to making single-crystal diamond films that cover an entire 200-millimeter [8-inch] wafer," said Carlisle. The diamond wafers being sold today by ADT and sp3 Inc. (Santa Clara, Calif.) are mostly used in microelectromechanical system (MEMS) applications, for which their ultrahardness is valued, and in apps that require the thermal dissipation performance of silicon carbide wafers, but at a much lower price point. "We are pricing our diamond-coated wafers at about 25 percent of the cost of silicon carbide wafers," said Dwain Aidala, president of sp3. ADT and sp3 have sidestepped the doping and scaling problems facing single-crystal carbon films by instead growing wafer-scale polycrystalline diamond films. Called microcrystalline diamond by sp3 and ultrananocrystalline diamond by ADT, these films use grains of carbon as small as 5 nm in diameter (about 10 carbon atoms wide) and consisting of just 20 to 30 atoms each. "Nanocrystalline diamond allows us to solve both the doping and scaling problems [seen] with single-crystalline diamond," said Carlisle. "It's not perfect, but by and large we have captured the best properties of single-crystal diamond but without its drawbacks. For instance, we have successfully deposited our nanocrystalline diamond onto 300-mm (12-inch) wafers in our lab," said Carlisle. "As a result, now we can make layered structures that interleave our diamond films anywhere in a CMOS semiconductor stack." ADT's ultrananocrystalline diamond (UNCD) is naturally insulating but can be made highly conductive by doping it with nitrogen. By situating themselves between the nanoparticle grains rather than intruding on the carbon lattice itself, the foreign atoms do not tempt the crystalline carbon into reforming into graphite. By adding dopants and altering the deposition process itself, the electrical conductivity of UNCD films can be changed by more than eight orders of magnitude (100 million to 1). The company is also developing diamond under a Defense Advanced Research Projects Agency (Darpa) contract for MEMS applications, where the material can extend frequency performance into the gigahertz range (silicon MEMS devices are limited to megahertz) and offer long-term durability. "Diamond has all the properties that you want for MEMS; its very high stiffness enables it to resonate at very high frequencies, and it has a very stable surface that is immune to oxidation," said ADT's Carlisle. Next month, Darpa will evaluate its Harsh Environment Robust Micromechanical Technology (Hermit) program to fabricate diamond films using ADT's ultrananocrystalline process, which was perfected at Argonne National Lab. For Hermit, Darpa program manager Amit Lal enlisted the help of Innovative Micro Technology (IMT), which formed ADT's diamond into a MEMS device; MEMtronics, which designed the RF switch; and Peregrine Semiconductor, which fabricated the CMOS drivers atop a silicon-on-sapphire wafer. Emboldened by the successful implementation of an RF phase shifter for Darpa, contractors are now embarking on their own development efforts to repackage diamond MEMS devices on CMOS into RF modules for consumer devices. "Our vision is to combine several different RF oscillators, filters and switches into a single-chip solution for portable wireless devices like smart phones and smartbooks," said Carlisle, contrasting the approach with "what's done today, which is to use 30 different suppliers." Among the carbon technologies being pursued for electronics, graphene is the furthest away from commercialization but might hold the most promise for integration with silicon semiconductor processes. Since diamond is inherently three-dimensional and nanotubes are inherently one-dimensional, 2-D graphene transistors are simply a better fit with mainstream, 2-D semiconductor processes. Graphene's lack of a bandgap makes it difficult to use for digital devices but not for analog transistors. The latter are the aim of Darpa's Carbon Electronics for RF Applications program. CERA aims to demonstrate a 94-GHz power ampli- fier using graphene transistors by 2012. IBM leads the CERA research effort. "We have already demonstrated graphene transistors in our lab at 50 GHz, and the next step will be a lot higher--several hundred gigahertz," said Avouris. With the use of a unique carbon material, researchers are hoping to significantly increase the speed of computers, mobile phones and other communication systems. The technology could even have implications for how long Moore's Law – which has so far accurately predicted the doubling of the number of transistors on microchips every two years – will continue to apply. The material, called graphene, consists of sheets of carbon just one atom thick. Its unusual properties make it a promising material for future microchips that could transmit data much faster than existing silicon chips. "Graphene will play a key role in future electronics," said Tomás Palacios, an electrical engineer with the Massachusetts Institute of Technology (MIT) in Boston, USA. "We just need to identify the right devices to take full advantage of its outstanding properties." Palacios and his team have used graphene to build a chip known as a frequency multiplier. Frequency multipliers take an incoming electrical signal of a certain frequency and produce an output signal that is a multiple of that frequency. The MIT graphene chip can double the frequency of an electromagnetic signal, showing the system is a viable way of generating high frequency signals. The next generation of graphene chips will be able to build upon this concept to achieve much higher frequencies, Palacios said. Reaching higher frequencies is critical to faster computer systems, he said, because it allows data to be transmitted faster. With current technology, it is hard to create signals with frequencies above five gigahertz. Graphene could eventually lead to frequencies in the 500 to 1,000 gigahertz range. Graphene holds such promise for increasing communication speed because of its unique electrical properties. It has, for example, very high mobility – the speed at which electrons start moving in the presence of an electric field. This quality is important to electronics, and graphene's mobility is 100 times that of silicon. As a result, the graphene chip surpasses existing frequency multipliers in several key ways, the researchers said. Current systems require multiple components, consume large amounts of power and produce signals that require filtering. The new graphene system has only a single transistor, works more efficiently and produces clean signals that don't need filtering. In short, Palacios said, the graphene system can multiply frequencies "with unprecedented levels of spectral purity and efficiency." Palacios said graphene will play an important role in the future. Already, it has been used to create prototype transistors, as well as ultracapacitors, storage devices for electrical energy (see, Super-thin material has massive energy storage potential). "Researchers have been trying to find a use for this material since its discovery in 2004," Palacios said. "I believe this application will have tremendous implications in high-frequency communications and electronics." Barry Cox, a member of the Nanomechanics Group at the University of Wollongong, in New South Wales, Australia, said improved frequency multipliers would have many practical benefits, but cautioned that certain problems still need to be addressed. Still, he said, "the MIT project looks to be significant scientifically and with good prospects commercially as well." John Stride, a chemist with the University of New South Wales, in Sydney, who studies graphene, said he was impressed by the work and its potential applications. "There are small things to iron out, but they proved you can get higher frequencies with a simple graphene device," he said. "They need to perfect it so it can be suitable for devices, but they proved the principles." Stride added that graphene could extend Moore's Law if the material is used to improve transistors. First mooted in 1965 by Intel's Gordon Moore, this predicts that the number of transistors able to be placed inexpensively on a microchip will double every two years. The law still stands, but scientists debate how long it can last with current technology. "New semiconductivity technology based on graphene may extend Moore's Law further in the future," Stride said. Stanford chemists have developed a new way to make transistors out of carbon nanoribbons. The devices could someday be integrated into high-performance computer chips to increase their speed and generate less heat, which can damage today's silicon-based chips when transistors are packed together tightly. For the first time, a research team led by Hongjie Dai, the J. G. Jackson and C. J. Wood Professor of Chemistry, has made transistors called "field-effect transistors"—a critical component of computer chips—with graphene that can operate at room temperature. Graphene is a form of carbon derived from graphite. Other graphene transistors, made with wider nanoribbons or thin films, require much lower temperatures. The Dai group succeeded in making graphene nanoribbons less than 10 nanometers wide, which allows them to operate at higher temperatures. "People had not been able to make graphene nanoribbons narrow enough to allow the transistors to work at higher temperatures until now," Dai said. Using a chemical process developed by his group and described in a paper in the Feb. 29 issue of Science, the researchers have made nanoribbons, strips of carbon 50,000-times thinner than a human hair, that are smoother and narrower than nanoribbons made through other techniques. Field-effect transistors are the key elements of computer chips, acting as data carriers from one place to another. They are composed of a semiconductor channel sandwiched between two metal electrodes. In the presence of an electric field, a charged metal plate can draw positive and negative charges in and out of the semiconductor. This allows the electric current to either pass through or be blocked, which in turn controls how the devices can be switched on and off, thereby regulating the flow of data. Researchers predict that silicon chips will reach their maximum shrinking point within the next decade. This has prompted a search for materials to replace silicon as transistors continue to shrink in accordance with Moore's Law, which predicts that the number of transistors on a chip will double every two years. Graphene is one of the materials being considered. David Goldhaber-Gordon, an assistant professor of physics at Stanford, proposed that graphene could supplement but not replace silicon, helping meet the demand for ever-smaller transistors for faster processing. "People need to realize this is not a promise; this is exploration, and we'll have a high payoff if this is successful," he said. Dai said graphene could be a useful material for future electronics but does not think it will replace silicon anytime soon. "I would rather say this is motivation at the moment rather than proven fact," he said. Although researchers, including those in his own group, have shown that carbon nanotubes outperform silicon in speed by a factor of two, the problem is that not all of the tubes, which can have 1-nanometer diameters, are semiconducting, Dai said. "Depending on their structure, some carbon nanotubes are born metallic, and some are born semiconducting," he said. "Metallic nanotubes can never switch off and act like electrical shorts for the device, which is a problem." On the other hand, Dai's team demonstrated that all of their narrow graphene nanoribbons made from their novel chemical technique are semiconductors. "This is why structure at the atomic scale—in this case, width and edges—matters," he said. Graphene, one of the thinnest known materials, consists of a planar single sheet of carbon arranged in a honeycombed lattice. Graphene sheets also have higher carrier mobilities (the speed at which electrons travel at a given voltage) which translate to carrier mobilities that are hundreds of times larger than silicon chips used today. This makes graphene ideal for faster chip speeds. Image depicts carbon-based semiconductor chips with its dual-gate bi-layer graphene field-effect transistors. However there are a few problems that need to be overcome before carbon-based transistors can be useful. Single layers of graphene sheets act more like a conductor than a semiconductor due to fact they have no band gap. Semiconductors have a band gap between their conductive and insulating state, which allows them to be easily turned on and off. With a missing band gap, graphene FETs (field-effect transistors) have terrible on-to-off current ratios which is hundreds of times smaller than silicon. Graphene also heats up considerably when operated at saturated currents. This becomes a big concern because high-performance graphene devices preferably need to operate at the saturation current limits. Heat transfer from biased graphene into an underlying substrate can be much higher than that found in conventional silicon transistors. The IBM research team has obtained heat flow results by determining the temperature distribution in active graphene transistors using optical microscopy combined with electrical transport measurements. They also used heat-flow modeling to calculate how heat travels along and across a graphene flake. The research has shown that substrate interactions become much more important in graphene electronics than in traditional MOSFETs and heterostructures. This leaves engineers to focus on non-polar substrates and substrates that do not trap charges. As the size of the carbon atom is small compared with that of silicon atom, it is possible to etch very smaller lines through diamond structural carbon. We can realize a transistor whose size is one in hundredth of silicon transistor. Diamond is very strongly bonded material. It can withstand higher temperatures compared with that of silicon. At very high temperature, crystal structure of the silicon will collapse. But diamond chip can function well in these elevated temperatures. Diamond is very good conductor of heat. So if there is any heat dissipation inside the chip, heat will very quickly transferred to the heat sink or other cooling mechanics. Carbon chip works faster than silicon chip. Mobility of the electrons inside the doped diamond structural carbon is higher than that of in he silicon structure. As the size of the silicon is higher than that of carbon, the chance of collision of electrons with larger silicon atoms increases. But the carbon atom size is small, so the chance of collision decreases. So the mobility of the charge carriers is higher in doped diamond structural carbon compared with that of silicon. 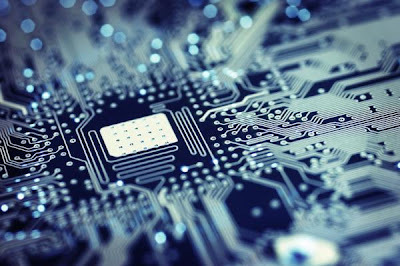 For power electronics application silicon is used, but it has many disadvantages such as bulk in size, slow operating speed, less efficiency, lower band gap etc at very high voltages silicon structure will collapse. Diamond has a strongly bonded crystal structure. So carbon chip can work under high power environment. It is assumed that a carbon transistor will deliver one watt of power at rate of 100 GHZ. Now days in all power electronic circuits, we are using certain circuits like relays, or MOSFET inter connection circuits (inverter circuits) for the purpose of interconnecting a low power control circuit with a high power circuit .If we are using carbon chip this inter phase is not needed. We can connect high power circuit direct to the diamond chip. The chips would be most useful in devices located near hot-burning engines, such as those used in future aspects.